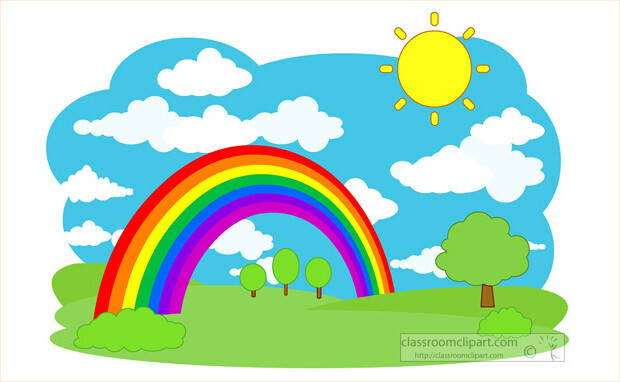 A rainbow is perhaps one of the most intriguing things that the sky can offer. 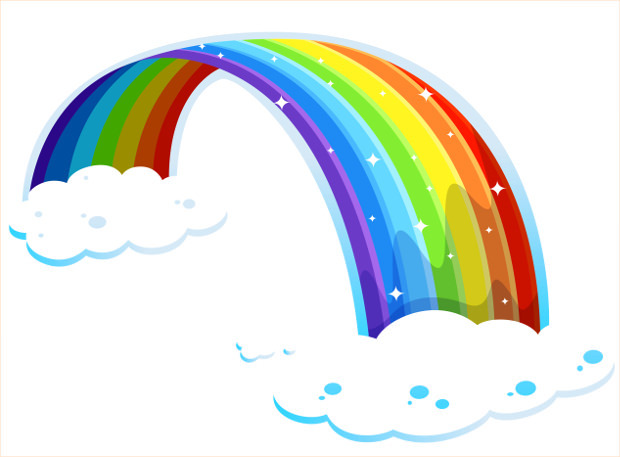 This multi-coloured arc, which comes about when light is reflected, refracted and dispersed by water droplets in the sky, is indeed beautiful to behold. 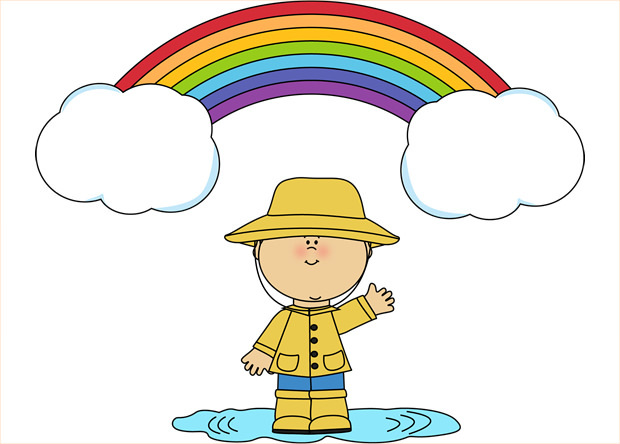 Humans have been fascinated by rainbows throughout the ages. 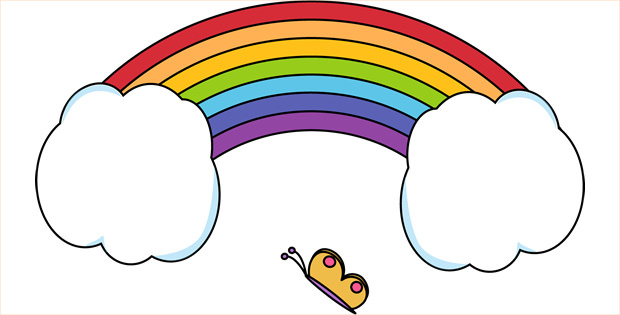 Rainbow appears in mythology and art a great deal. 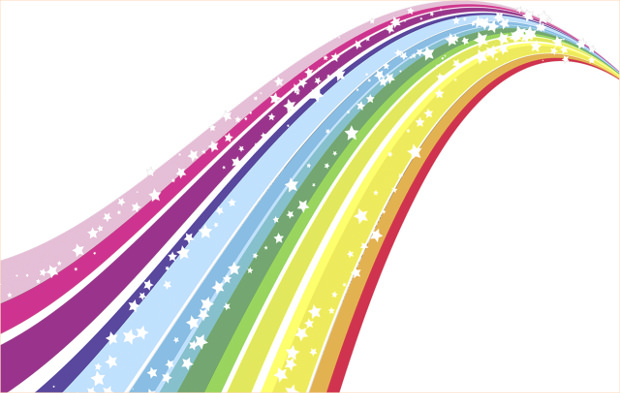 Rainbows have featured prominently in flags over centuries. 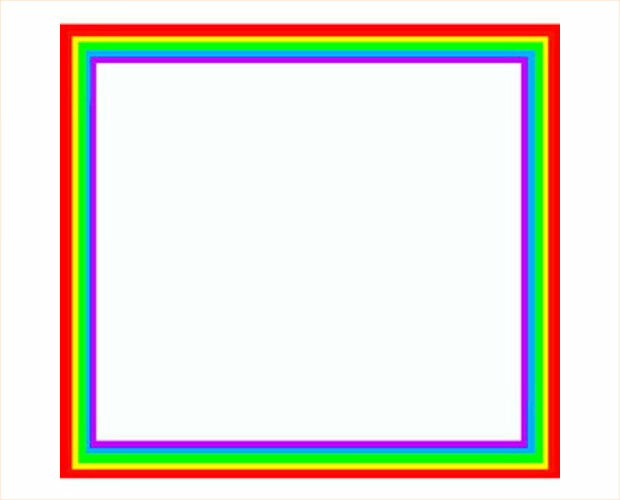 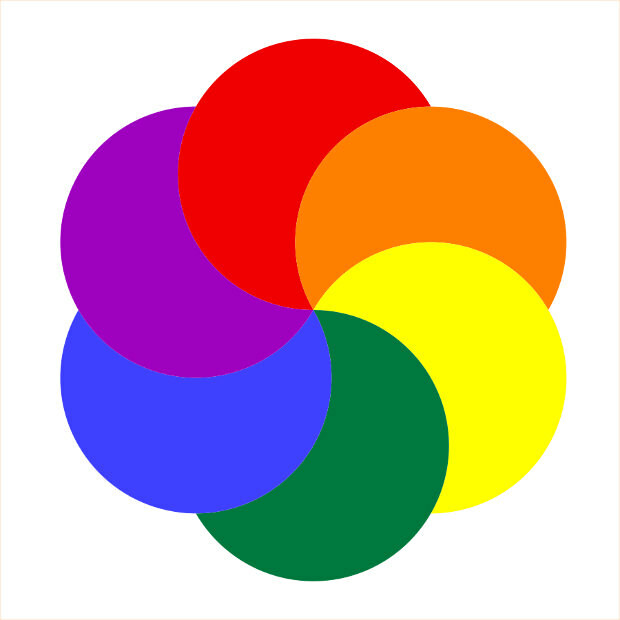 For instance, in the 16th century, it was used as a symbol of cooperative movement in Germany; it has remained the symbol of the gay pride since 1970s, etc. 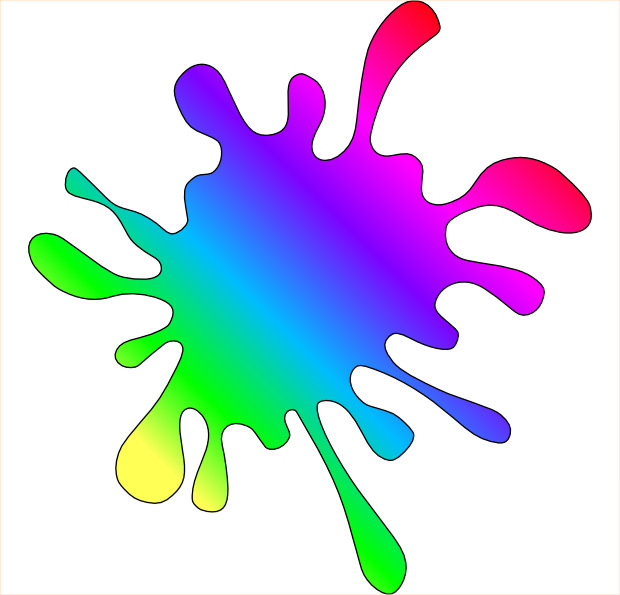 Today, this fascinating feature has inspired designers to create rainbow-themed clipart for use in different projects. 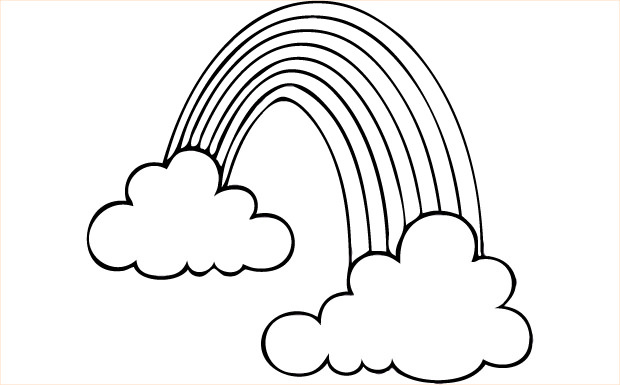 Clipart showing a rainbow image “popping” out of some fluffy clouds can look quite fascinating. 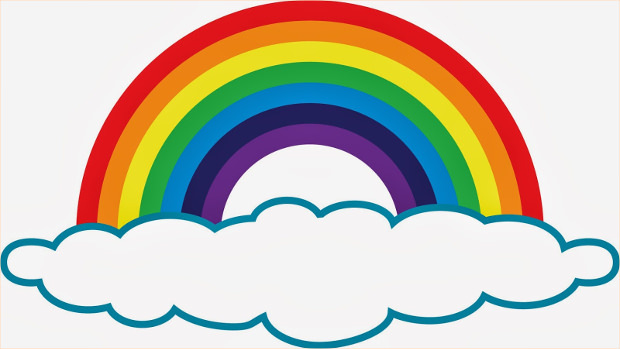 A variation of this design could involve a softer, semi-glossy image of a gorgeous rainbow between some fluffy clouds – use of pastel colours makes the style more appealing. 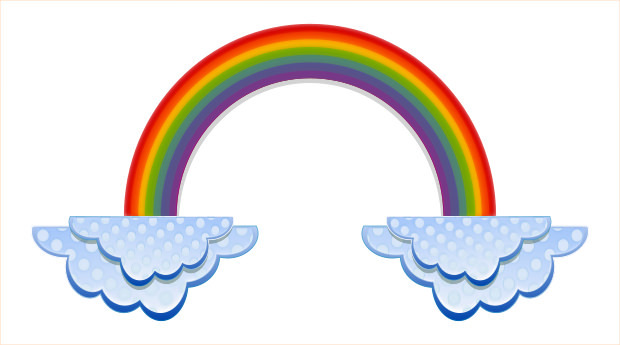 A clipart portraying a rainbow in the shape of heart can look really gorgeous and a nice way of expressing your love to the special ones in your life. 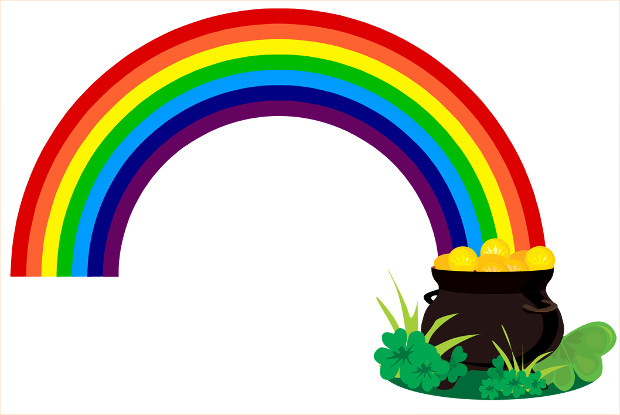 Fascinated with the Irish Leprechaun’s mythology? 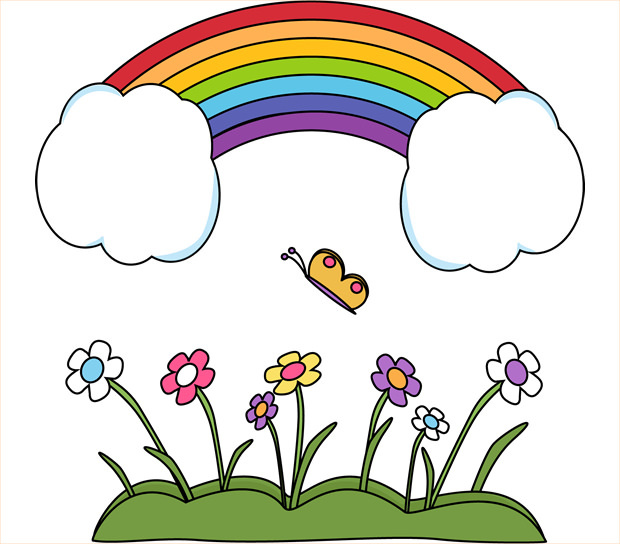 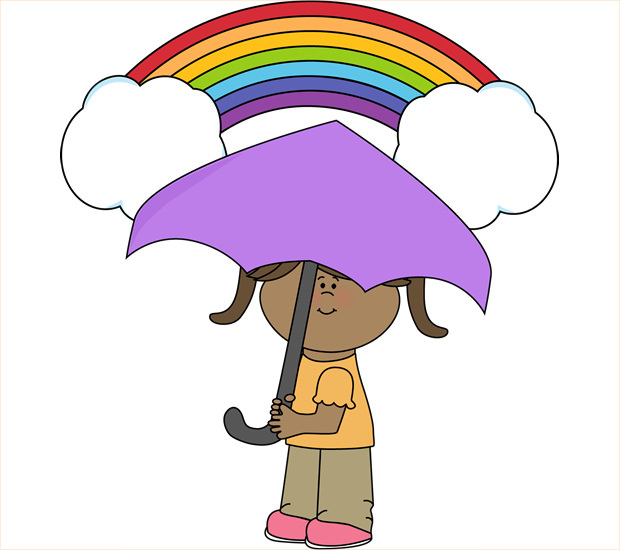 Then clipart with a gold pot at the end of a rainbow image could be a perfect choice for you.